Daddy Versus – Children’s book about Daddy facing challenges of life. Can Daddy and the Family stop the Squirrels from eating all of the bird food? *Adults or older children to read to younger children. *More advanced child readers will enjoy this version as well. *Those wanting more story details. *Those wanting beginner-level story structure and language. *Those who enjoy reading commonly available Level 1 reading books. Watch this video of the squirrels in action! Video 1: In this video, you can see two squirrels eating from the bird feeder at the same time. These crazy squirrels don’t like to share. They hit each other while trying to get and eat the food! They should learn to share and be nice! Video 2: The squirrels had a hard time getting past this baffle, but they did it eventually. I had not planned to write any children’s books. The story developed itself based on our real life experiences. Similar to the book, our older daughter made a bird feeder out of an ice cream cone at school. Yes, the squirrels stole the bird feeder, and thus began our little adventure. We did like having the bird feeder while it lasted, so we did buy a feeder like the one pictured in the book. 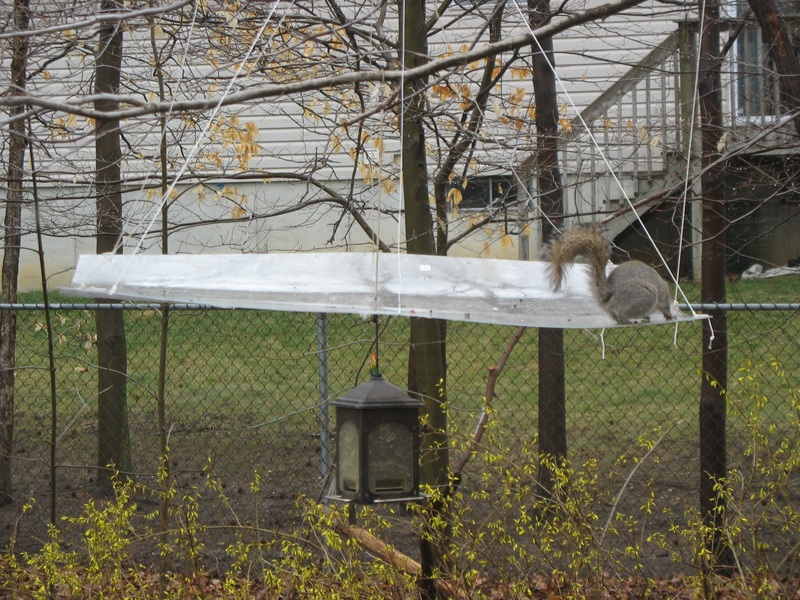 The squirrels quickly learned how to climb to the feeder and how to hang on it so they could steal the seeds. This then led us to try to find ways to stop them. We created many baffles that did not work. Below are some of the attempts we made. and they know how to get around most objects that are in their way. After a while all of the attempts to stop the squirrels started to become sort of funny. 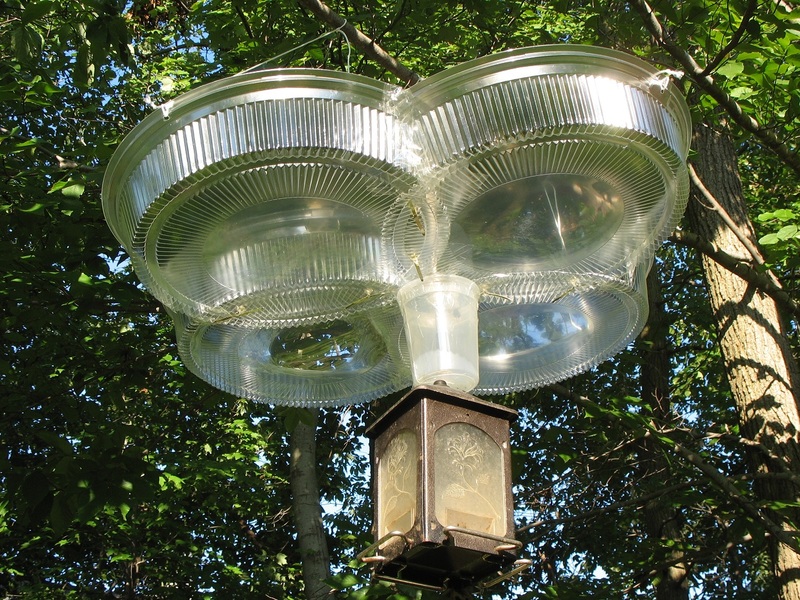 We would create a baffle, see if the squirrels could get past it, and then try to make it harder for the squirrels to get past it. We started building crazy barriers from anything that we thought might work. Based on all of this, it eventually it occurred to me that I might be able to write a little story that my daughters could enjoy. Most attempts to stop the squirrels were not successful. 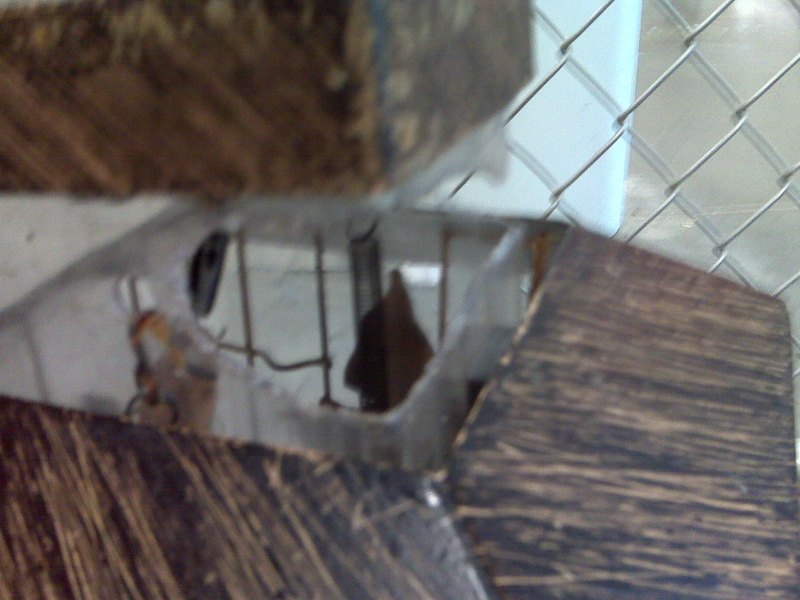 A few of the baffles worked, but they later broke because they were not strong enough. Only the plastic gray baffle worked (just like in the book!). Preventing the squirrels from jumping to the feeder, and stopping them from cutting the rope with their teeth were also true parts of our adventure. This baffle worked but it was too big and flimsy and it broke in half with the first rain storm. It was made out of a sheet of plexi-glass. The squirrels were able to hold on to the bottom of this and walk upside down to get to the feeder! Most impressive! Yes, those are the covers of plastic food serving trays tied together. See the video of the squirrels trying to get past it. 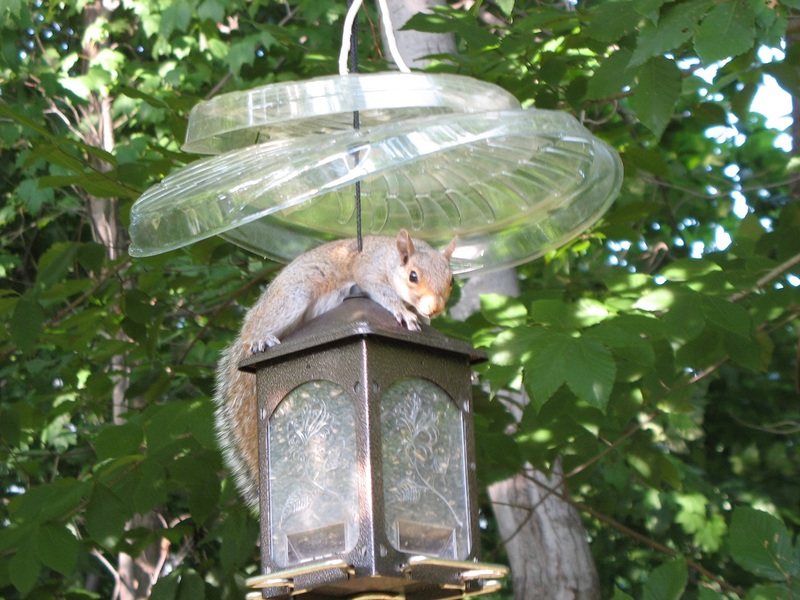 The squirrels ate through the plastic of this baffle – boy were they hungry! Putting two discs did not stop the squirrels. This is when I ran outside to try to scare the squirrel away. If you look at the picture on the last page of the book Daddy Versus The Squirrels, you can see the squirrels reaction to me getting close to it (he just stared at me, with his very pointy claw very visible – would he try to jump on me?). Friends We Have Made Along The Way.